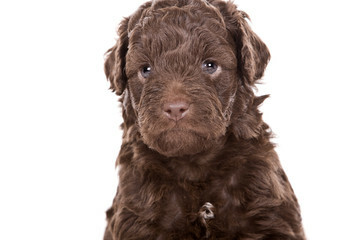 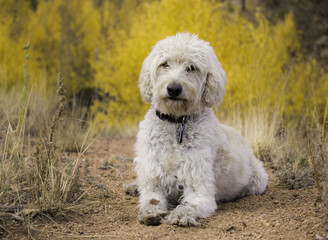 The Labradoodle is a cross between a Poodle to Labrador Retriever. 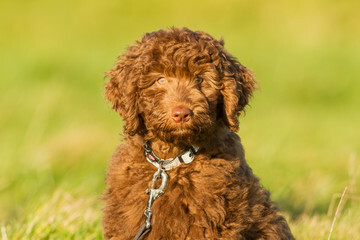 There are also multigen varieties that result from crosses between labradoodles, as well as Labradoodle to Poodle crosses. 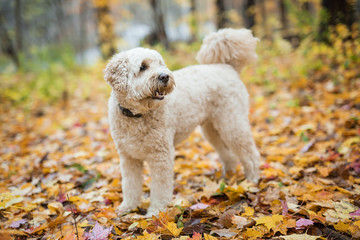 Labradoodles do not shed or shed lightly, but require regular grooming and clipping. 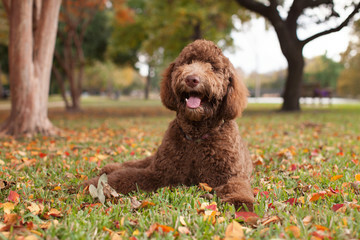 Labradoodles are playful and very loving with children, although they can get a little over-exuberant. 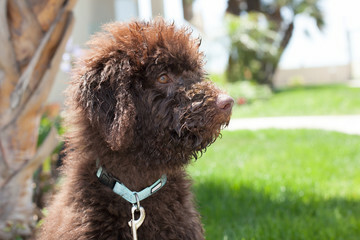 Labradoodles are intelligent and need to be mentally and physically stimulated. 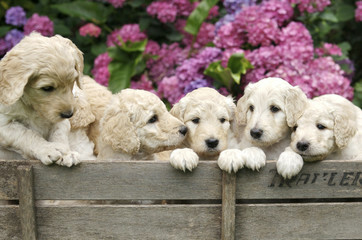 If they aren't, they can become destructive and hard to handle. 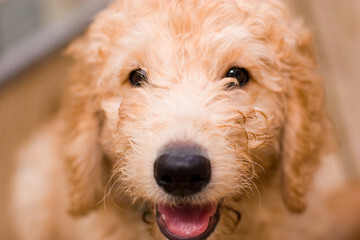 Labradoodles may be well-tolerated by people with moderate allergies. 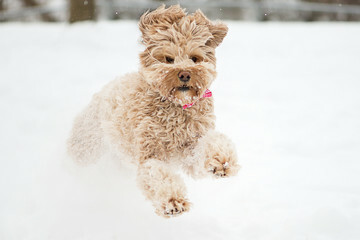 The Labradoodle can be a high-energy dog. 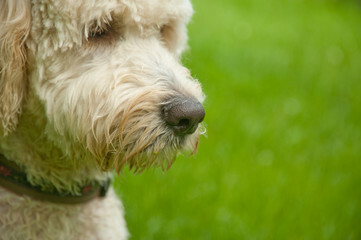 She may not be well suited for apartment living and do best in houses open yards. 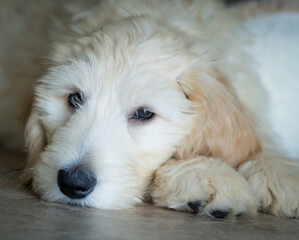 They require 30 to 60 minutes of daily excercise.